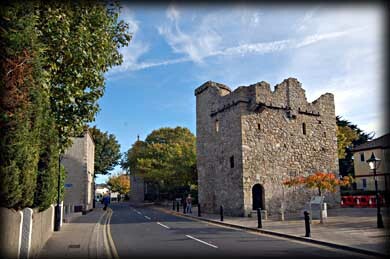 The castle at Dalkey dates back to the early 1400s. It was built as a fortified town house to store goods. During this period the river Liffey was silted up and most large ships would offload their goods at the deep sea port in Dalkey. 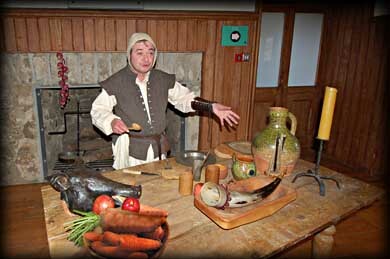 A total of seven castles were built in the town by merchants to protect the goods before transportation to Dublin. The castle has some excellent features including a Machicolation, a Murder hole, a Garderobe and a Crenellated Parapet. The castle takes its name from the Cheevers family who owned the castle in the 1600s, 'Chevre' being the french word for goat. 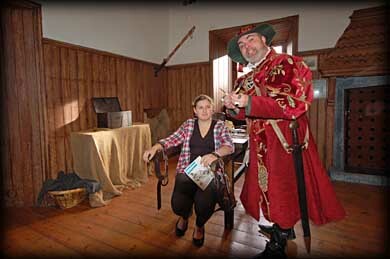 Known today as Dalkey Castle & Heritage Centre, the tours are given by actors in character wearing tudor costumes. 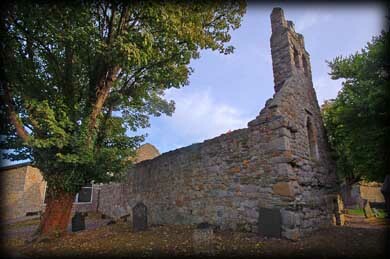 The Tour also takes in St Begnet's Church and graveyard located next to the castle. My daughter found it both informative and very entertaining. Archbold's Castle is the only other fortified house/castle remaining from the original seven. It is also located on Castle Street across the road from Goat Castle. Unfortunately it is not open to the public. The 10th century granite Church named after the virgin Saint, St Begnet, probably replaced an earlier wooden church dating back to the Early Christian period. The Nave dates to the 10th century and later the Bellcote and Chancel were added in the 13th century. The East window of the Chancel was added during the 16th century. Besides the low doorways there are a number of other interesting features to look out for in the church. Inside the Nave on the eastern side of the doorway is a Stoup and there is an Ambry built into the southern wall of the chancel. Scattered throughout the graveyard are a number of decorated headstones and on the northern side of the church is a rare Tau Cross. The main reason for my visit to Dalkey heritage centre was to see the Rathdown Slab on show in the exhibition area. 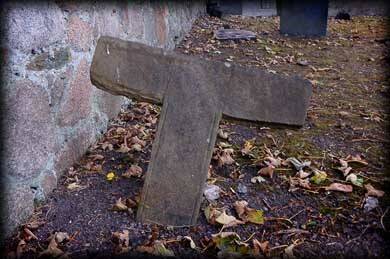 The slab was found in the graveyard surrounding St Begnet's Church in 1855. 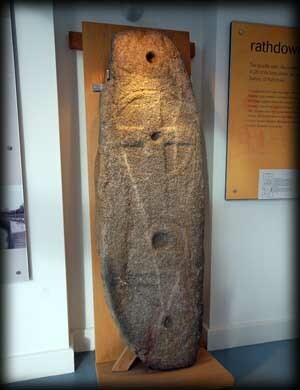 The Rathdown Slabs are usually linked to churches dated to the 11th and 12th century. The first slabs were recorded by Austin Cooper in 1781 and since then the number of viking slabs has risen to around 30. This particular slab is one of the finest examples and standing at about 5 ft tall one of the largest. It is thought the slab may have been decorated originally with viking art such as the cup marks, but that a number of christian symbols such as the large ring with a cross in the centre, may have been added later. Other examples have been recorded at Kilgobbin Church, Rathmichael Church, Whitechurch, Ballyman, Kiltiernan, Tully Church, Killegar and more recently in Dundrum. 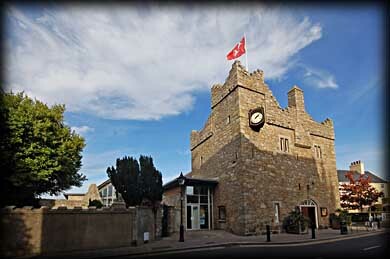 Situated: Very Easy, Dalkey Castle & Heritage Centre are located on Castle Street, which is the main street running through Dalkey Village. Discovery Map 50. O 2635 2696. Last visit Oct 2010.